We’ve all experienced that person who lacks personal hygiene at the gym. It can happen anywhere really, you can encounter someone on the train who wasn’t wearing deodorant, or in some cases you might work with that individual who has different cultural practices, or someone who’s simply had a long, hot day. Funk happens, it happened to me recently. I was in a Zumba class, and as I raised my arms while dancing around the funk hit me. At first, I thought that maybe it was someone else, but it only hit me when I raised my arms. I knew for sure it was me. I’m usually pretty good with my deodorant and antiperspirant practices, but on this day, I guess I didn’t rub on enough. Or it’s possible that I had an exceptionally funky day. Whatever the case, I was stinking, and this was only the beginning of the class. I immediately made my way to the back, went into my gym bag, pulled out my deodorant, and rubbed that sucker on to the offending space. Problem solved. If only everyone was as considerate as I am, the world would be a much sweeter smelling place. In some cases, you can move away or otherwise avoid stench. Other times you are stuck smelling the funk. Such was the case during one of my recent workouts. Again, in Zumba. This time, the person apparently didn’t know how horrible they smelled, or they simply didn’t care. I tried to move away from them, but the smell was extremely potent, there was nowhere to hide. I couldn’t tell who it was, otherwise I would have said something to them. I’d gently suggest that they please wear deodorant, or wash their clothes, etc. I have no problem addressing this at the gym. Though being an employee of several gyms, I’d be careful in how I deliver the message. But this was really, really bad! I’ve encountered horrendous odors at work, and even back in my jiujitsu days. I was sparring with a guy who didn’t seem to think washing his gi after each use was necessary. Man, he smelled so bad. Even as a kid, we had one friend who claimed he lived with the Ninja Turtles in the sewers. Though I doubt he lived with the teenage mutant ninja turtles, he certainly smelled like the sewers. We were much meaner then, and we’d rag on him about it. We never knew exactly why he smelled so bad. In this particular class, I wasn’t the instructor, I was a participant. 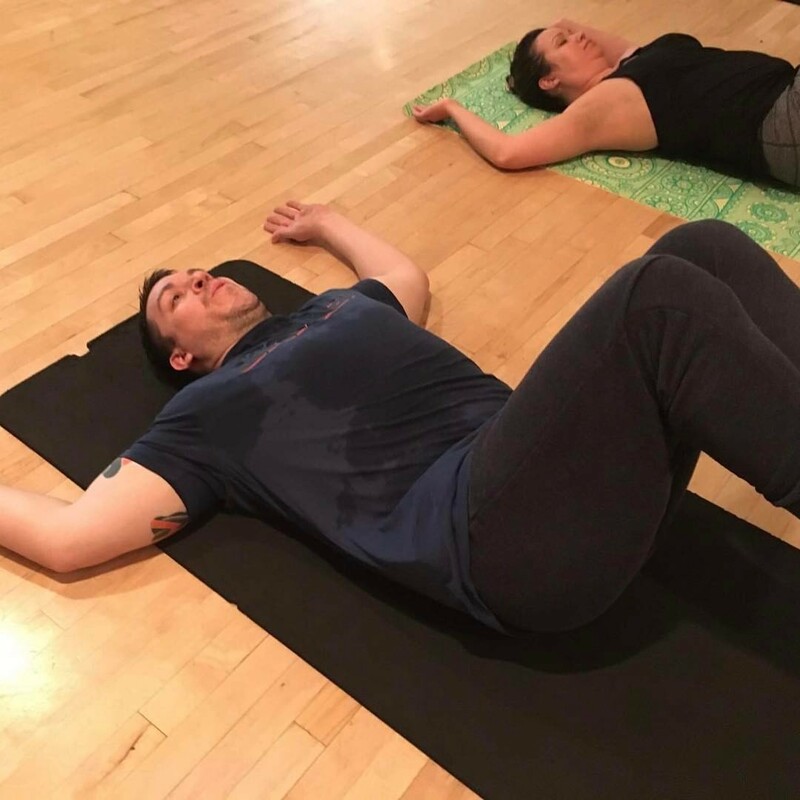 And though I know that sweat can stink, there is no one, and I mean no one in that, or any gym that I’ve been to (and I’ve been to many) who sweats the way I sweat! And you know what? I don’t smell like arm pit stench regularly. This person didn’t just have underarm stink, it was unwashed and re-worn clothes, mixed with disgusting body odor. This wasn’t just a sweat thing. One of those mofos wasn’t wearing deodorant, they didnt bathe, and didn’t wash their damn clothes. That’s a very crappy thing to do in a small, crowded group exercise room. I didn’t speak up because it wasn’t my class, but if it was, I’d have made a general announcement about it. It’s disgusting to have to breathe that in when sucking wind in class. I’d be gentle about it, but this is not acceptable. By the way, the same goes for those of you who bathe yourself in cologne or perfume. You might not realize it, but that stuff is potent. We don’t want to breathe in your scent of choice as we work out! I’m not the first or the last instructor or participant to address this issue of hygiene at the gym. I’ve personally seen it addressed at a few gyms. It’s really not cool to subject your fellow gym goers to a terrible stench. So please, please, practice good hygiene. Wash your clothes after using them once. Even if you “think” you don’t sweat much. Though, I will say that some women can get away with this. But not many! Bathe regularly, especially if you eat foods that may produce potent or foul odors as you sweat it out through your pores. Bathe, bathe, and bathe again. Everyday!